The currently unnamed Arrow/The Flash spinoff has already recruited several notable heroes and villains from both series. 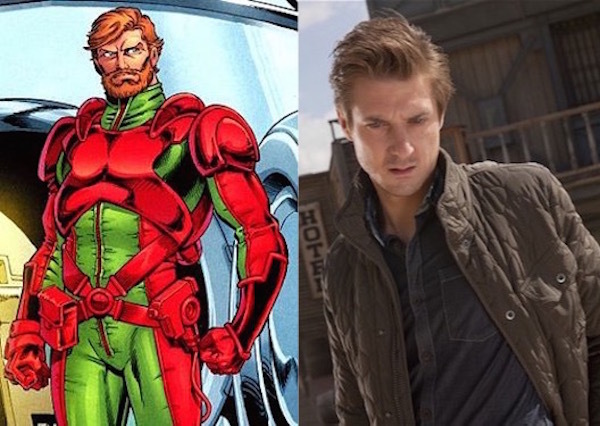 However, today’s news brings us two DC Comics characters who haven’t appeared on either Arrow or The Flash who will be appearing as major players in the spinoff, both of whom we first heard about from previous character descriptions. Joining the unusual team will be Kendra Saunders, a.k.a. Hawkgirl, and time traveler Rip Hunter. Following the two castings, we still have one mystery character left to be cast. Previously casting descriptions revealed a “Mystery Hero,” a twentysomething African-American male who unexpectedly gains superpowers and throws out quips during battle. There is also a well-known DC villain who will appear that has never been used before, though that character's identity hasn’t been revealed yet, either. Hawkgirl was created in 1941 as a love interest/partner for Hawkman, though she has since become more prominent as a solo superhero. Her most well-known appearance outside of the comics was as one of the leading heroes in the animated shows Justice League and Justice League Unlimited, and was based off the Silver Age Shayera Hol version of the character. Hawkgirl’s only previous live-action appearance is in the Smallville episode “Shield,” played by Sahar Biniaz. Aside from her theatre work, Renée appeared in a 2014 episode of Law and Order: Special Victims Unit. Darvill’s work includes playing Rory Williams in Doctor Who and Reverend Paul Coates in Broadchurch. They join a cast that consists of Wentworth Miller as Captain Cold, Dominic Purcell as Heat Wave, Brandon Routh as Ray Palmer/The Atom, Victor Garber as Martin Stein and Caity Lotz as either Sara Lance/The Canary or someone brand new.